Author Harold Hutchison writes that Special operations forces near Point Pleasant, West Virginia, were testing high-altitude, low-opening (HALO) parachuting for use in Vietnam. 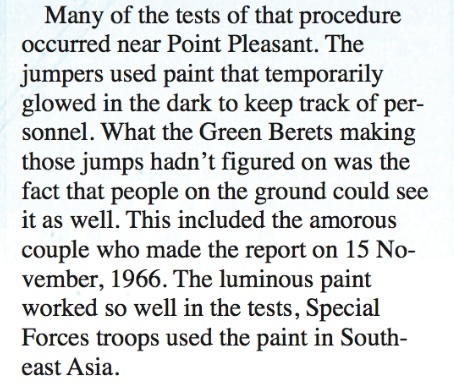 According to Hutchinson, the jumpers used luminous paint to be seen during the tests. Thus explains the Mothman sightings and other phenomena in the area, Hutchinson tells us. It will be recalled that the late Fortean writer Jim Keith felt one of the understories of the Mothman might be the using of Point Pleasant as the site of a secret military/intelligence experiment. Keith additionally thought appearances of so-called “Men in Black” could have been government agents trying to silence eyewitnesses of the military operations. Most skeptics have laid that explanation to paranoia. 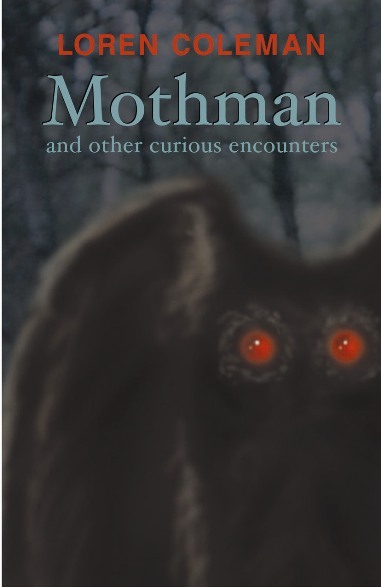 In my book on the subject, I did overview various theories, such as Keith’s, that attempted to explain parts of the 1966-1967 “Mothman” reports. But is the Solider of Fortune debunking too broad? Indeed, I have to speak with some caution and critical thinking about this overreaching explanation too. The November sightings of Mothman hardly match a parachuting Green Beret. On November 1, 1966, several National Guardsman saw a Mothman described as a large, brown man- shaped figure on limb of tree, near the Armory, on Camp Conley Road, Point Pleasant, West Virginia. On the 12th, five men digging at the cemetery near Clendenin, WV, saw a flying, brown human- shaped object. Then on the 15th, the first widely recorded sighting occurred, when two couples in the TNT Area, near the old power plant outside Point Pleasant, saw a large gray, man-shaped bird-like creature with reflective blazing red eyes and a ten-ft wingspan. After the initial meeting, it pursued the eyewitnesses’s Chevy down a rural road, at high speeds. The individual case-by-case descriptions of the “Mothman” and the behaviors (like the accounts of Mothman ascending into the air) it exhibited do not absolutely appear to match with what, at first read, is a simple, global explanation involving testing by the Green Berets. Still, it is worth some discussion and thought. 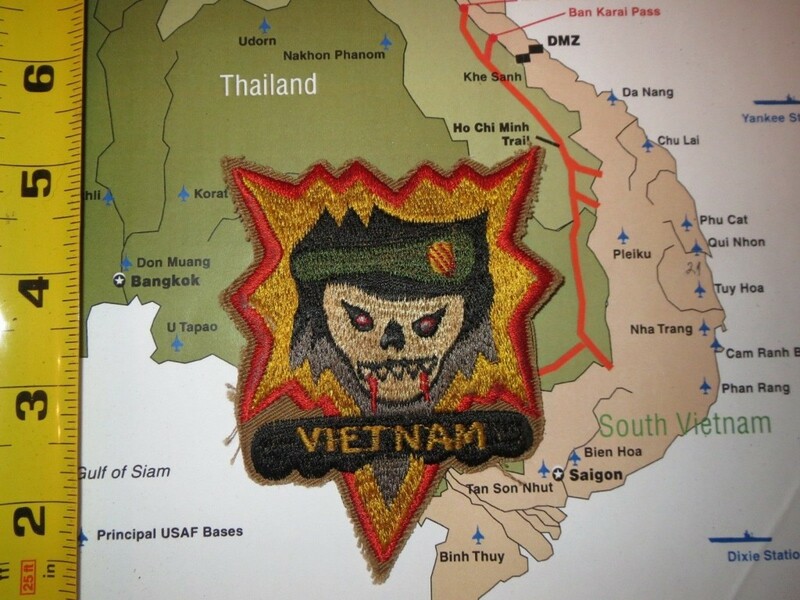 This is a patch of the USSF Green Berets, Shell Burst US MACV-SOG Vietnam. Special thanks for the info on the Soldier of Fortune article from Mark Pilkington, Doug Skinner, and Patrick Huyghe. Maybe they were riding a fleet of sandhill cranes?